George Takei is best known for his portrayal of Mr. Sulu in the acclaimed television and film series Star Trek. He’s an actor, social justice activist, social media mega-power. His acting career has spanned five decades, with more than 40 feature films and hundreds of television guest-starring roles to his credit. In 2014, To Be Takei, a documentary on his life and career, premiered at the Sundance Film Festival, and was later released across North America. During World War II, Takei and his family were placed behind barbed wire in U.S. incarceration camps along with 120,000 other Japanese Americans. Inspired by this difficult chapter of American history, Takei developed the musical Allegiance, in which he starred alongside Lea Salonga. Allegiance’s record-breaking world premiere in San Diego in 2012 won multiple awards, and was followed by a Broadway run in 2015-2016. 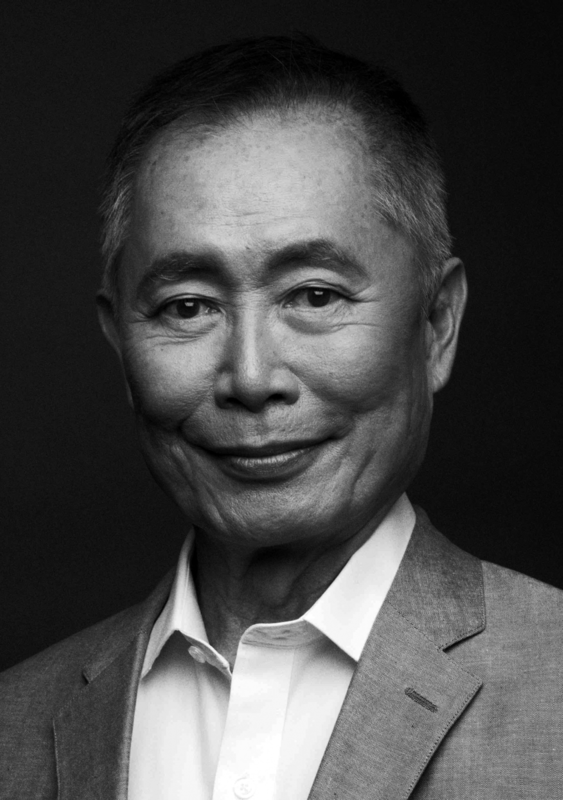 Now a community activist, Takei serves as chair of the council of governors of East West Players and is a member of the Human Rights Campaign, the largest national LGBT political organization. He is Chairman Emeritus of the Japanese American National Museum’s Board of Trustees; a member of the US-Japan Bridging Foundation Board of Directors; and served on the Board of the Japan-United States Friendship Commission. Takei is also a best-selling author and a social media superstar with over 9.7 million “likes” on Facebook and 1.7 million followers on Twitter. In 2015 the YouTube series “It Takeis Two” premiered, starring Takei with his husband, Brad Takei. The couple was married at the Japanese American National Museum on September 14, 2008.